It would be hard to find a political career that encompassed more triumphant highs and more devastating lows than that of our eighteenth prime minister. In the 1984 federal election, Mulroney delivered the greatest landslide majority government in Canadian history to the Progressive Conservatives, who won 211 seats. Seven years later, the wrath against his party reached biblical proportions. Western Canadians hated him for selling out their interests by awarding a $100 million maintenance contract for new fighter jets to Quebec rather than Manitoba. Quebecers hated him for failing to deliver on promised constitutional reforms that would have finally recognized theirs as a distinct society. And most of the country hated him for introducing the 7 percent goods-and-services tax. Too unpopular to win another term, Mulroney bowed out ahead of the 1993 federal election. He was replaced by Kim Campbell, but anger against him remained. When the electoral dust settled, the Liberals formed the next government, and the smouldering crater once known as the Progressive Conservative Party was left with two seats. It was the worst defeat in Canadian politics. Twenty-five years have passed since Mulroney’s retirement. Detractors still call him “Lyin’ Brian,” and some see him as a megalomaniac who was only ever in it for the power and money. In 1995, it was revealed that the Royal Canadian Mounted Police was investigating whether Mulroney accepted kickbacks on the sale of Airbus jets to Air Canada. While he did win an apology and a $2.1 million defamation settlement from the government, the former PM later admitted to accepting envelopes stuffed with 1,000-dollar bills from German businessman Karlheinz Schreiber—part of a payout of at least $225,000 that Mulroney had earlier denied receiving under oath. And the scandals continue. Last November, news broke that his legacy project, the new $60 million Mulroney Institute of Government, had allegedly been bankrolled by billionaires mired in international bribery and corruption schemes. Fen Osler Hampson would agree. 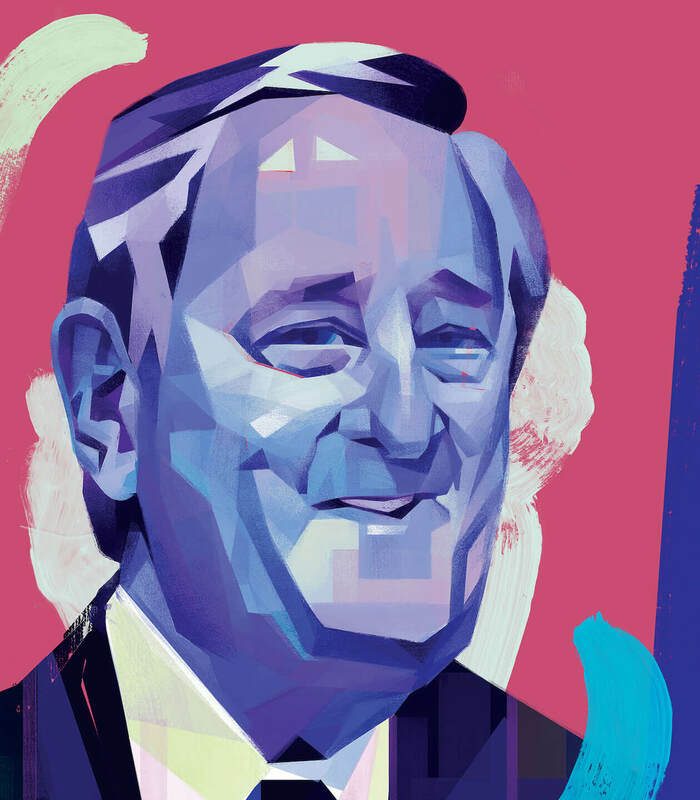 In his new book Master of Persuasion: Brian Mulroney’s Global Legacy, Hampson tells the story of a transformative leader who changed Canada’s foreign relationships and improved our standing in the world. Hampson achieves that goal effortlessly, detailing how Mulroney backed Commonwealth sanctions in 1986 against South Africa to help bring an end to apartheid, persuaded President George H. W. Bush to seek United Nations backing for the 1990 Gulf War, and was a constant campaigner for human rights. But the book also underscores the extent to which Mulroney’s re-emergence is tied to the fact that he’s in possession of a set of skills now in short supply—he’s an elder statesman alive in an era that’s forgotten the first principles of the dark art he practices. Like Rocky Balboa in the movie Creed, Mulroney has been called out of retirement to remind us of his old winning ways. Little in Mulroney’s childhood suggested he was destined for the country’s highest political office. His father toiled as an electrician at the local mill in Baie-Comeau, Quebec, and the family scraped by on his hourly wage. Mulroney grew up an anglophone Catholic in a francophone town where most English speakers were Protestant—linguistic and religious barriers cast him as an outsider. Yet, from an early age, Mulroney could ingratiate himself with insiders and place himself at the centre of attention. Decades before he crooned “When Irish Eyes are Smiling” with Ronald Reagan in Quebec City, young Brian performed “Dearie” for Robert R. McCormick, the newspaper baron and founder of Baie-Comeau, who supposedly slipped the twelve-year-old a $50 bill. Mulroney would go on to a successful career, during the 1970s, as a labour lawyer and, later, a business executive. Central to his political rise was his talent for cultivating close personal and professional relationships, a skill Hampson describes as “legendary.” Contacts were organized according to hubs and spokes. Hubs, according to Mulroney biographer John Sawatsky, were a select group of influencers in a city or area. They would get calls from Mulroney as often as every week. Spokes—a larger group, generally under the sway of hubs—might receive only one or two calls a year. But if a spoke was promoted, appeared in the newspaper, or experienced a death in the family, Mulroney would fire off a personal note. He remembered details such as birthdays and children’s names, and he used this familiarity to draw out gossip and stay abreast of developments in law, business, and politics. The result was a vast intelligence-gathering operation. If Mulroney, or one of his clients, encountered resistance in a negotiation or labour dispute, he would leverage his Rolodex to sweeten the deal or gain concessions. He always knew a guy. Mulroney’s social network was his life’s work, and after he occupied the prime minister’s official residence on 24 Sussex Drive, the reach of his network grew. Mulroney’s hubs now included major leaders of the free world: Reagan, Nelson Mandela, German chancellor Helmut Kohl, French president François Mitterrand. But while the theatre of operations expanded, the basic system stayed the same. If he needed to make a deal, Mulroney picked up the phone. In the lead up to the Gulf War, Bush tasked Mulroney with calling Egyptian president Hosni Mubarak in order to bring the Arab world into the US-led coalition force against Saddam Hussein. The immediate issue with the free-trade agreement, however, wasn’t American rapacity but the fact that politicians south of the border weren’t particularly interested. Before the deal was signed, negotiators slogged through several rounds of talks, getting nowhere. Hours before Congress’s authority to fast-track the legislation was set to expire, Mulroney placed a call to Reagan. Hampson reports that Mulroney asked the president how, at the height of tensions with the Soviet Union, the US could “conclude a nuclear arms reduction agreement with its Cold War adversary, and at the same time fail to summon the will to conclude a trade agreement with its Canadian ally and neighbour.” A final deal was tabled within the hour. Mulroney’s rhetorical style has always drifted toward exaggeration, and his performance before the Senate committee was no different. He hadn’t fudged the numbers, but the overall effect of his presentation was to inflate the risks associated with losing NAFTA In fact, according to Douglas Porter, chief economist at BMO Financial Group, the cost of terminating NAFTA would be a 1 percent drop in economic growth over the next five years: leaving NAFTA, he wrote, “Is a manageable risk that policymakers, businesses, and markets would adjust to in relatively short order.” True, the Canadian GDP has nearly doubled since 1993, but the average full-time hourly wage has been “essentially unchanged” since 1975, according to Statistics Canada. NAFTA delivered the goods for investors, but the benefits for the rest of us are mostly theoretical. Of course, Mulroney was not sent to Washington to provide an unvarnished assessment of the details. He was sent to varnish. His testimony in front of the Senate committee was characterized by the performative charm, soaring rhetoric, and twinkle-eyed blarney that delivered him two majority governments. Did it work? As of this writing, negotiators have wrapped up seven rounds of talks with little to show. Skeptics might argue that Mulroney was simply doing what he has always done: find a way to place himself at the centre of the action. For readers of Hampson’s book, it can be hard to believe that the man being described is the same politician who, during campaigns, was attacked as the “big money” candidate and whose lavishly renovated closets at 24 Sussex Drive reportedly housed fifty pairs of Gucci loafers. Hampson portrays someone who, to an extent true of few prime ministers before and none since, had a clear vision of Canada’s moral influence on the world and mobilized the resources and political capital to make that vision a reality. Mulroney’s government drew international attention to the 1984 Ethiopian famine and spearheaded relief efforts that saved millions of lives. It likewise led the international community in calling for a response to ethnic cleansing in the former Yugoslavia. During Mulroney’s tenure, Canada telegraphed its principles in symbolic ways, such as our “first to pay” policy, in which Canadian officials hand delivered contribution cheques to the UN. But the symbolism was backed by concrete force. “Canada was an active participant in all sixteen UN peacekeeping missions that took place while Mulroney was in office,” Hampson writes, “contributing more than 10 percent of all troops assigned to the UN.” Today, that proportion is less than 0.1 percent. The Canada-United States Air Quality Agreement was finally signed in 1991. His success on the file, combined with his passage of the ambitious Environmental Protection Act, which required seven provinces to cut sulphur dioxide emissions by half, prompted a 2006 survey of environmental experts to call Mulroney the greenest prime minister in Canadian history. But the qualities central to Mulroney’s triumphs—his artful backroom dealing, emphasis on personal connections, and outsized confidence—also fed his failures and eventual downfall. Hampson leans on the charming tale, the sentimental anecdote, and moments of masculine camaraderie that belong in a Hollywood buddy picture. (“You know, Brian,” Reagan is once supposed to have remarked, throwing his arm around Mulroney’s shoulder, “for two Irishmen, we sure married up!”) Unfortunately, Hampson also sanitizes his subject. We know, thanks to investigative journalist Stevie Cameron, that blue-chip donors enjoyed unparalleled access to the highest levels of Mulroney’s government, with officials receiving payments in return for lucrative office deals, engineering contracts, and government grants. Looking back, we can see how Mulroney punctures a misconception about politics: that corruption and achievement are mutually exclusive. Sure, it’s easier to celebrate the accomplishments of a leader who does not reek of venality, but the truth is much messier. Mulroney may hail from Baie-Comeau, but like Jay Gatsby, he “sprang”—in F. Scott Fitzgerald’s words—“from his Platonic conception of himself.” Mulroney’s self-styled mythology, however, suffers from its own limitations. His cultivated aura of celebrity worked marvels among his legions of contacts but struck many Canadians as haughty and aloof. 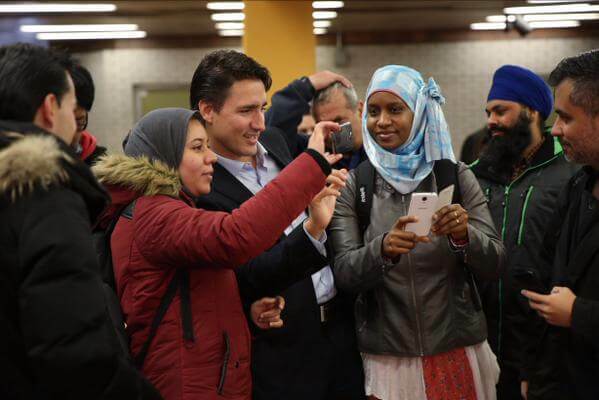 In transcending his ordinariness, he ended up holding the confidence of everyone but Canadian voters. By the time Mulroney left politics, his support had hit 15 percent. How did a prime minister of Mulroney’s accomplishments become so despised? Perhaps the answer is not simply the GST or the gradual accumulation of scandal. Perhaps the real disappointment stems from the fact that Mulroney’s need for approval was our shared national condition. We glimpse in him an incarnation of the insecurity lurking at the very bottom of the Canadian psyche. We thrilled to his global triumphs, then felt personally betrayed by his apparent self-interestedness. In some deep sense, Mulroney is still that needy twelve-year-old from Baie-Comeau, reaching out for validation in the form of a fifty. Kyle Scott (kjscott.com) is a Vancouver-based illustrator.